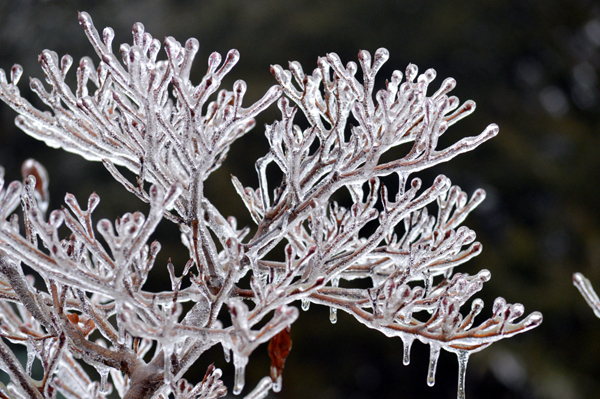 A coating of ice sure brings out branch shapes. More freezing rain on tap for today. I’d love to see the rest of that beast! I’m loving what’s coming out of the ice situation, you’re really finding the Light in the Darkness Sheila!